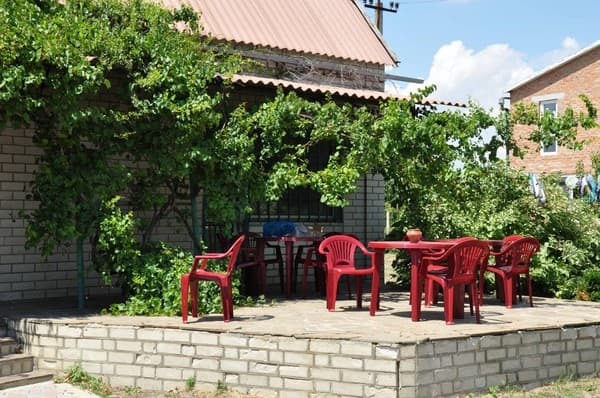 Villa "Rugen" is located in the resort village Stepanovka First. 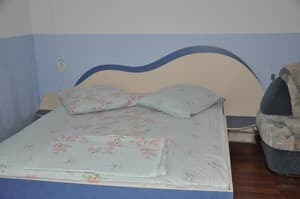 From the sea at a distance of 50 m. Offers for accommodation of rooms with European-quality repair of various categories which are equipped with the newest wooden furniture, the conditioner, the TV with satellite TV, some of them - a refrigerator, and also a private bathroom. Free parking is available on site for the hotel's guests, and guests can also meet at the bus station. Near the villa "Rugen" is a large number of shops and cafes, as well as the market. Distance to the city of Melitopol - 59 km. PRICES MAY CHANGE! INFORMATION RECEIVED FROM THE OPERATOR! 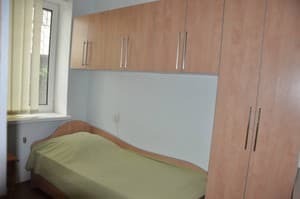 Description of the room: The room is equipped with three single beds, a wardrobe and bedside tables for storing things. 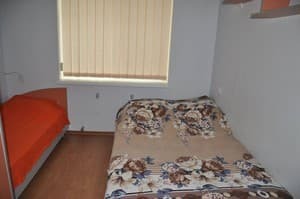 Description of the room: The room is equipped with three single beds, as well as a TV with satellite TV. 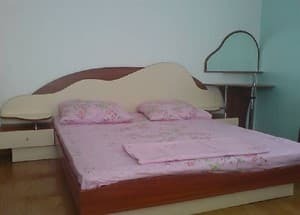 Description of the room: The room is equipped with a large double bed and a sofa bed. Check arrival: from 14:00 - 14:00 hours. Check leaving: to 12:00 - 13:00 hours. In the use of guests there is a kitchen unit for cooking. 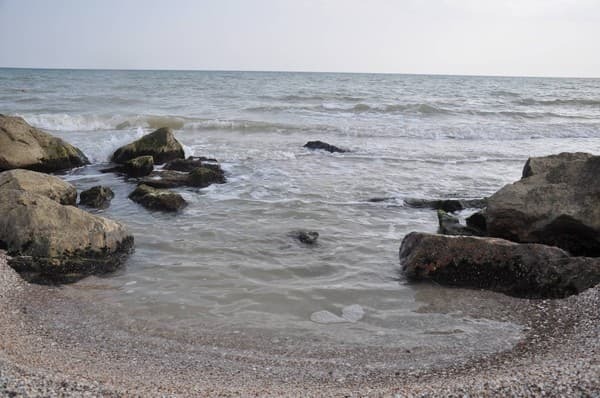 On the shore of the Azov Sea and the Milk Estuary with sandy beaches. From the bus station of the city of Melitopol by bus to the village Stepanovka First.